Nothing will ever be able to rewrite the sad story that led to this bouncy bear cub needing to be saved - but his rescuers are doing all they can to ensure his present is as happy as can be. 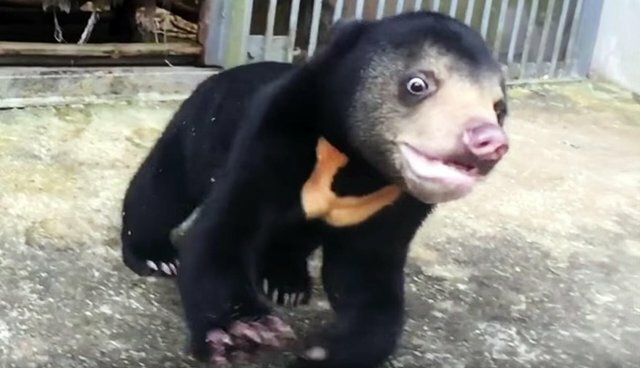 Murphy, a sun bear from Vietnam, was orphaned after a hunter killed his mother and later sold him into the wild animal trade. 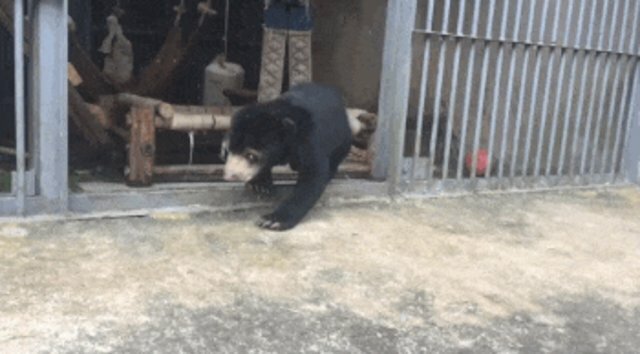 Fortunately, authorities were able to intervene, saving him from what could have been a lifetime caged on one of the many illegal bear bile farms in the country. Indeed, despite all he'd been through during his first weeks of life, Murphy was one of the lucky ones. At 6 weeks old, he was placed under the care of folks from Animals Asia to live on the grounds of the group's Vietnam sanctuary. It's only been three months since Murphy first arrived at the sanctuary, but in that time he's already begun to blossom. He was recently given access to his own personal outdoor play area where the rambunctious cub can run, climb and explore. "The big draws for Murphy are the toys to play with, the structures to climb – and lots of space for twirls and tumbles," writes Animals Asia in a release. "He's grown up so fast, and we're so happy he's loving the long and fun life he has ahead of him," adds Kelly Donithan , bear manager with the group. Clearly, Murphy is VERY excited about his new digs. Sadly, an estimated 1,200 bears are held captive on farms in Vietnam, where bile, used in traditional medicine, is harvested from the bears' gallbladders - often for decades. Although this practice has been banned in the country, bears like Murphy continue to be stolen from the wild for this purpose. To learn how you can help bears like Murphy, visit Animal Asia's website here.